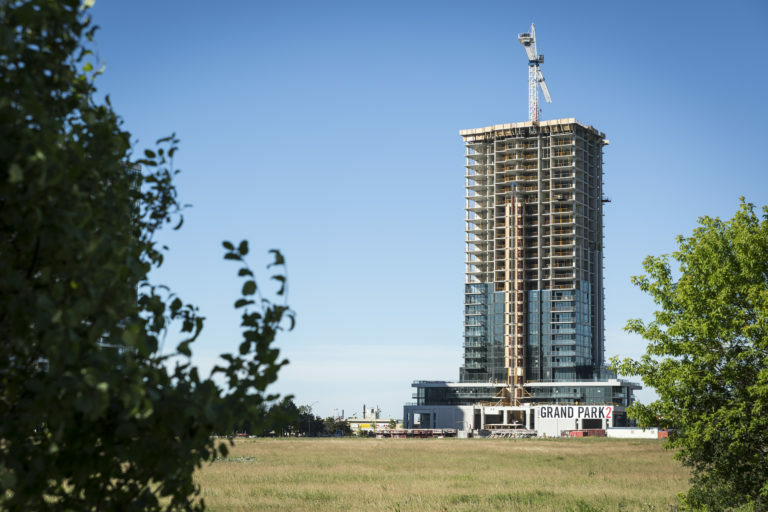 Big and bold, the Grand Park project located in Mississauga’s growing and urban City Centre, aims to give residents and array of amenities and suite options, while capitalizing on the site’s convenient location at Burnhampthorpe Road West, Grand Park Drive and Webb Drive. Designed in conjunction with one another, Phase 1 is 28 storeys over retail space at grade. Phase 2, further into the existing residential community, has a three-story residential townhouse base. The two phases define the west terminus of a new public road within a larger block master plan. 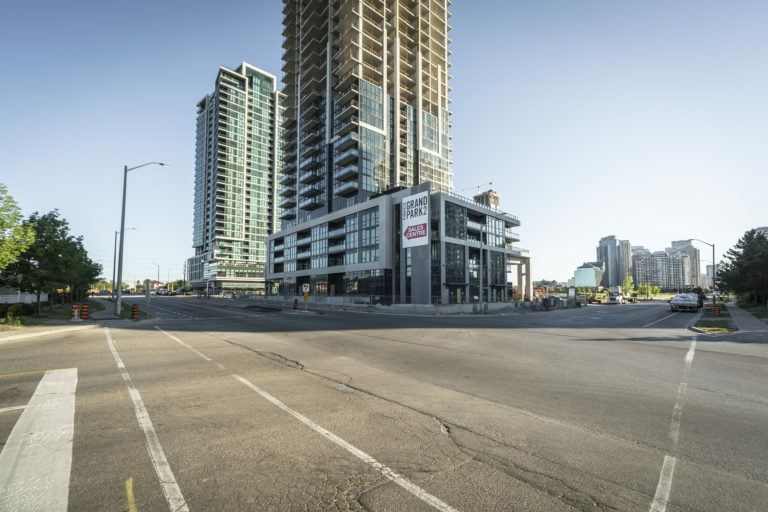 The building base provides a strong street edge and urban design quality. 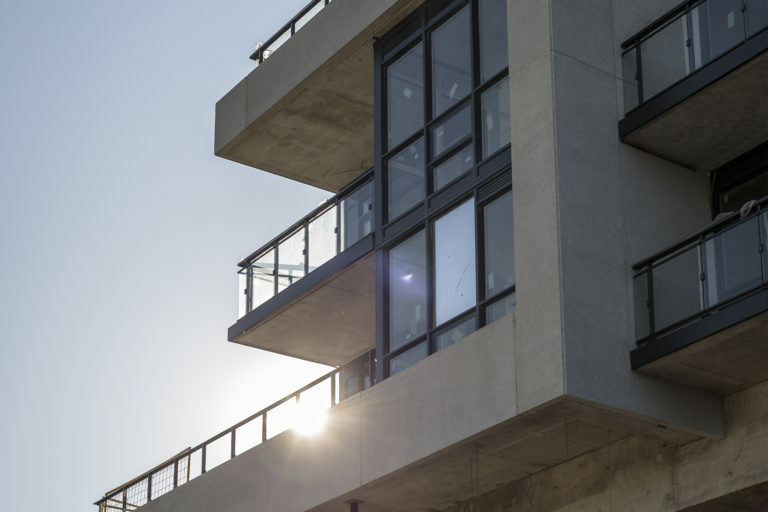 The project features a fourth floor amenity space of 8,611 sf, and opens onto a combination of exterior amenity functions and a sizable green roof. The tower above has ten units per floor at a floor plate of 9,256 sf, with the top floors as larger penthouse units. Grand Park 2 will coordinate with Grand Park 1 in terms of massing, visual composition, colours, base building, streetscape and architecture, thus creating a unique pair of complimentary buildings.